MoreBeer.com Coupon Code Description: Right now at More Beer, while supplies last you can Save $55 On A Deluxe Home Brewing Kit and also Get Free Shipping! MoreBeer.com Coupon Code Description: For the next two days at More Beer, Save An Additional 10% On Select Home Brewing Ingredients! This is More Beer’s annual Big Brew Day Sale and your chance to lock in some great savings on many of their most popular home beer brewing ingredients including select hops, yeast, grains and extract! Click the link for all of the details on this home brewing promotion from MoreBeer. Coupon Description: Today and tomorrow, use promo code SHINE and get a free Williams Brewing drinking jar on orders of $80 or more while supplies last! These are awesome beer drinking glasses, get a free pair before they are gone! Sale Description: Right now through April 25th, you can Save $13 On Your Order at Adventures in Homebrewing! 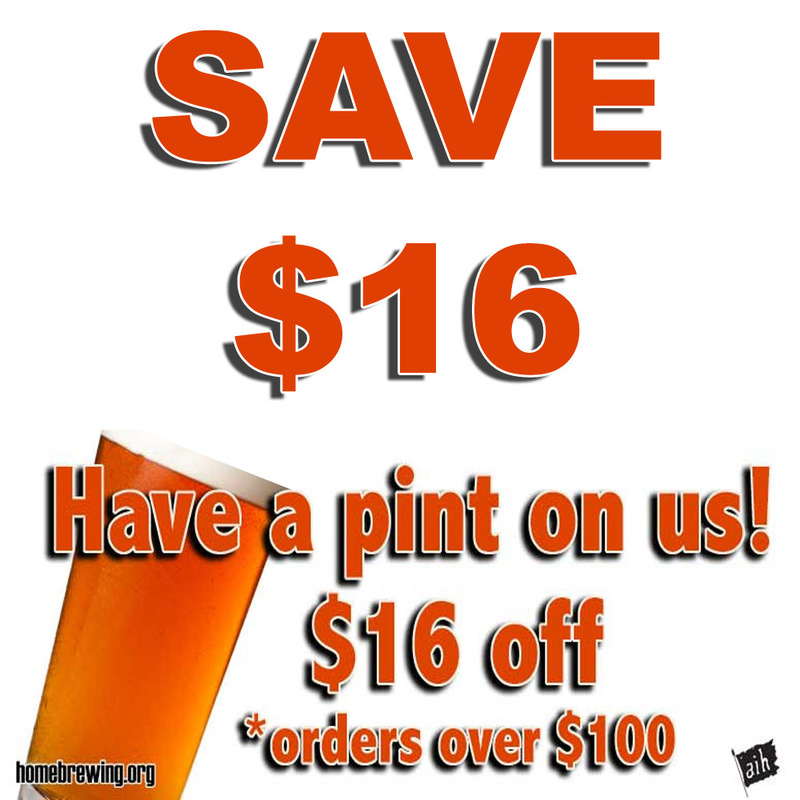 This is a limited time sale and the offer is good on just about everything available at Homebrewing.org including most sale items! MoreBeer.com Coupon Code Description: More Beer has one of their biggest annual sales going on right now. Act fast and save An Additional 10% On Some Of MoreBeer’s highest rated homebrew gear; plus get free shipping from More Beer on orders over $59. Some of the items include the More Beer ultimate sparge arm, Pliny the Elder home brewing recipe kits including both All Grain and Extract, Speidel Fermenters, home brewing cleaners and more! Coupon Description: Use this Northern Brewer promo code and Save 15% On An Item Plus Free Shipping Over $99! This NorthernBrewer.com coupon code expires at the end of the day, so act fast to take advantage of the savings!